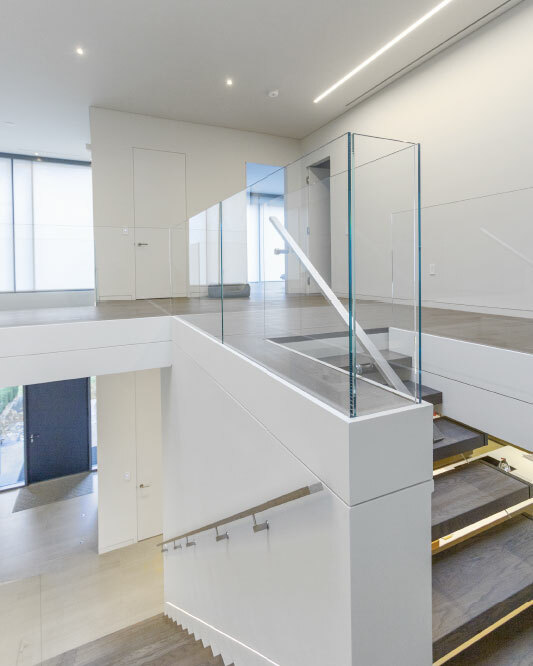 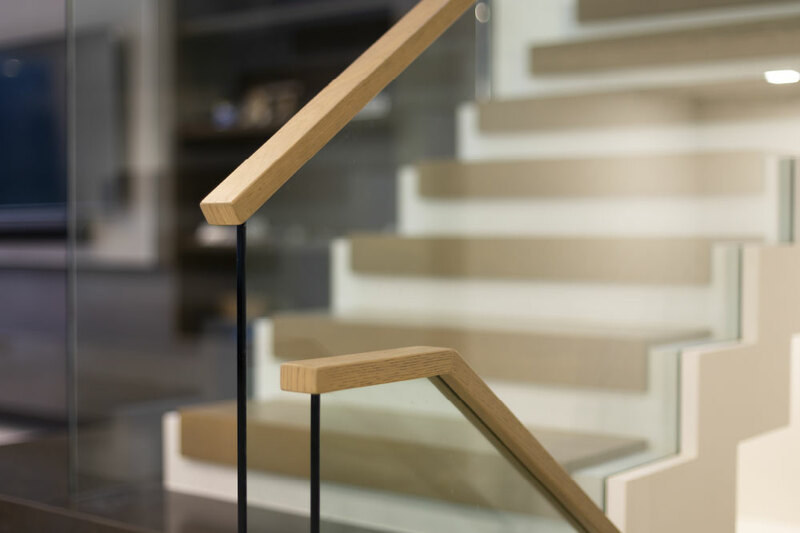 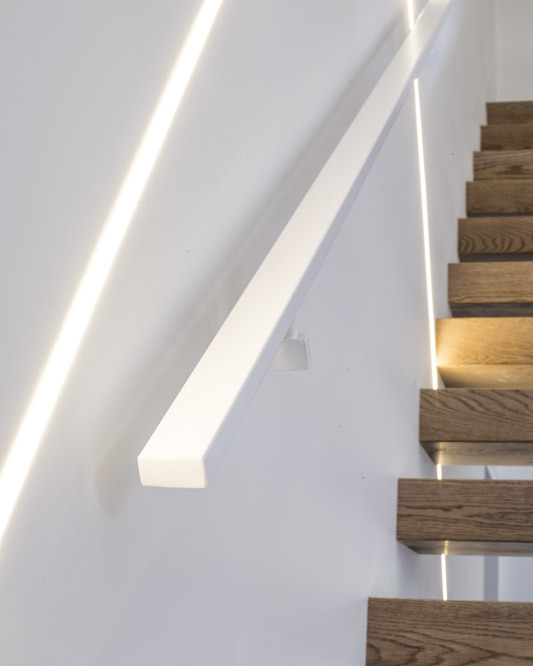 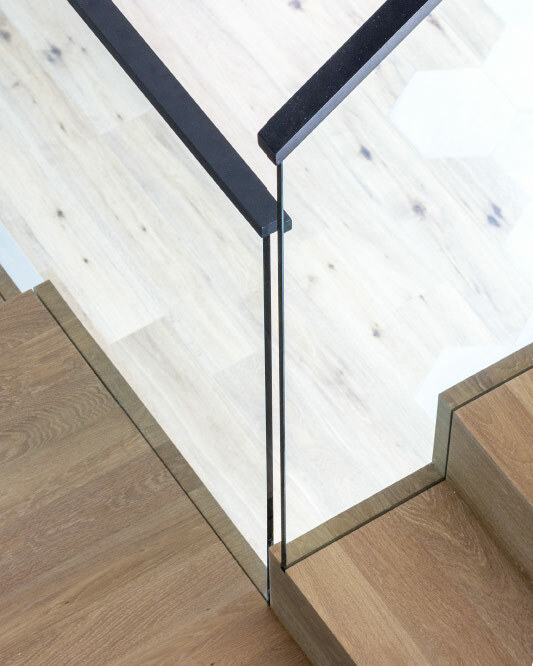 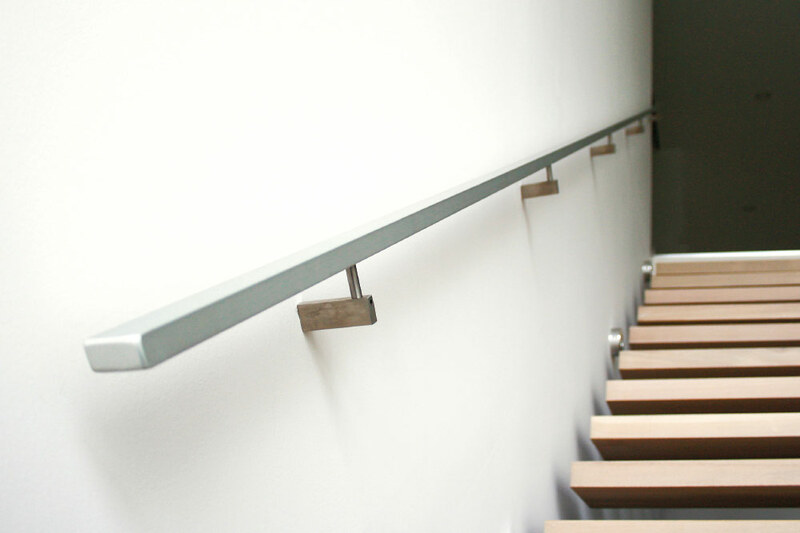 Handrails are graspable rails that aid walking up and down stairs. 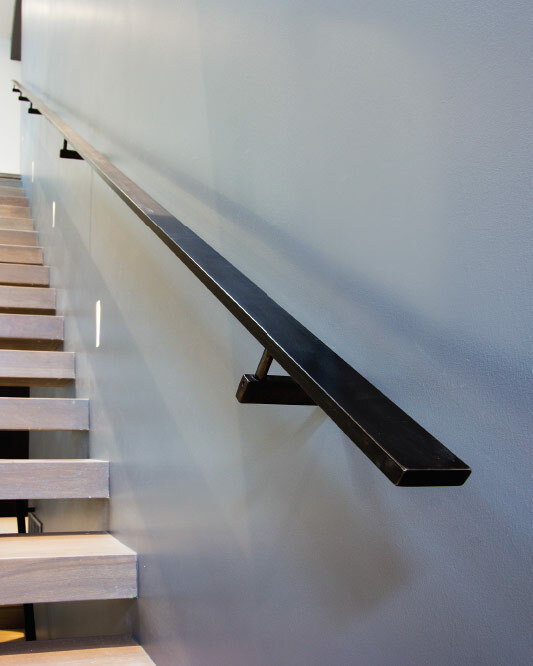 They are elevated 34” – 38” from the walking surface. 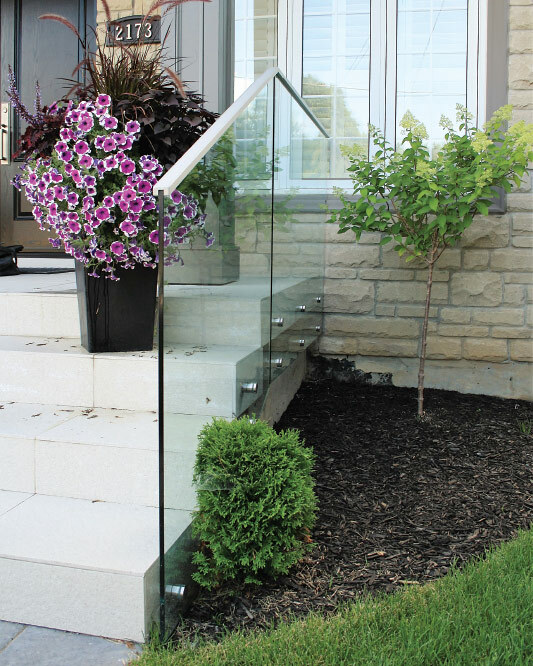 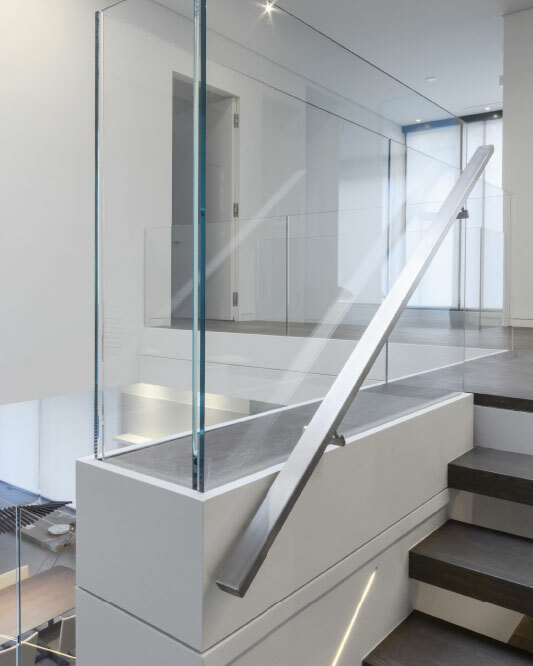 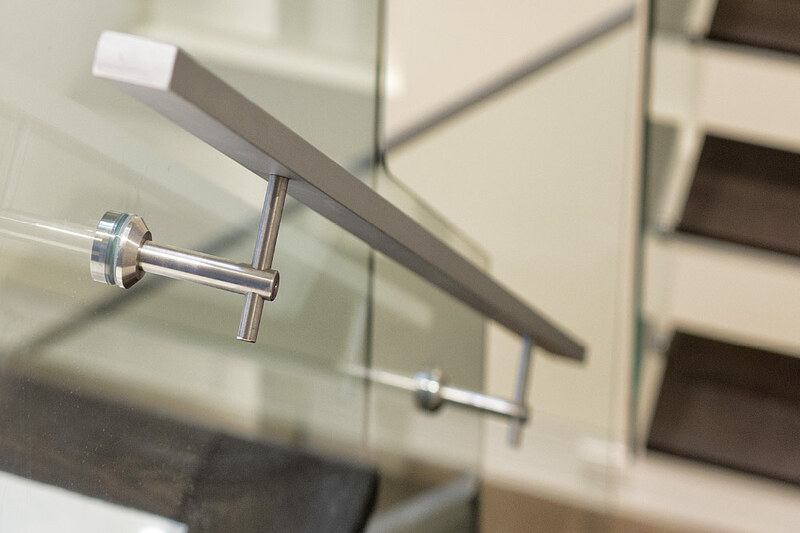 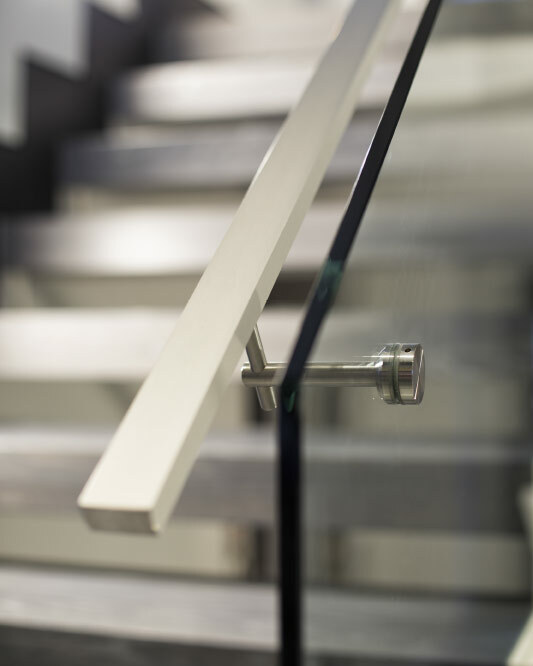 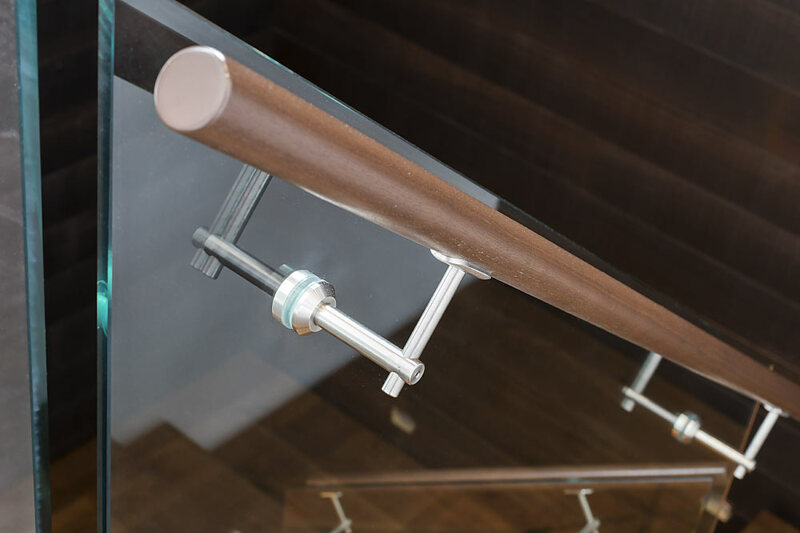 Handrails can be top of the glass mount, glass side mount, wall side mount or post mount. 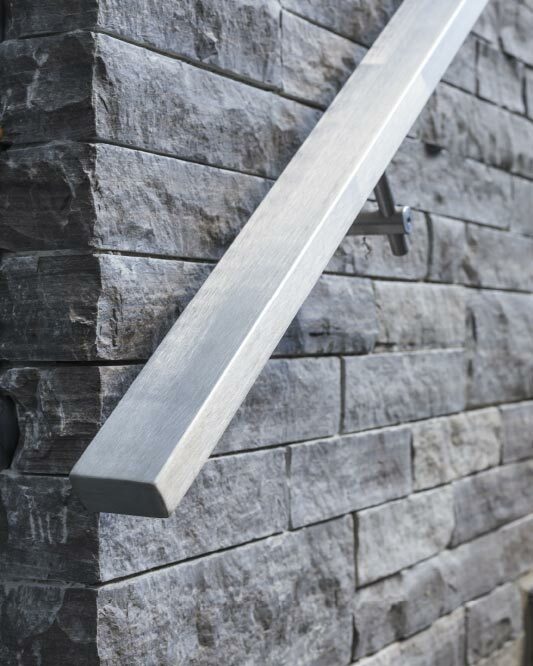 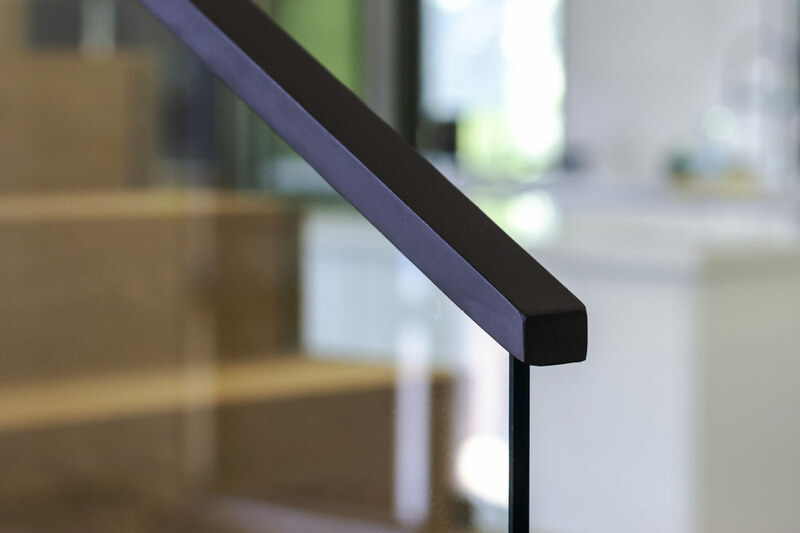 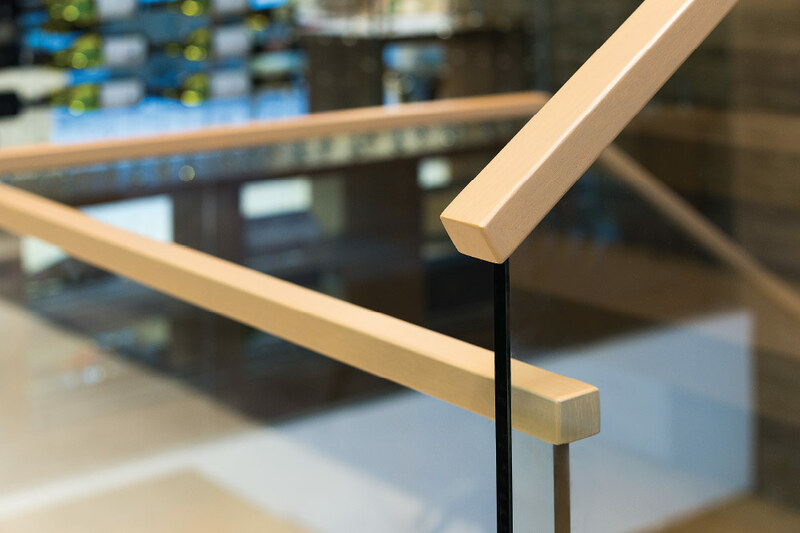 We offer handrails in simple shapes with round or rectangular cross sections and with a few choices of clean, minimal handrail brackets. 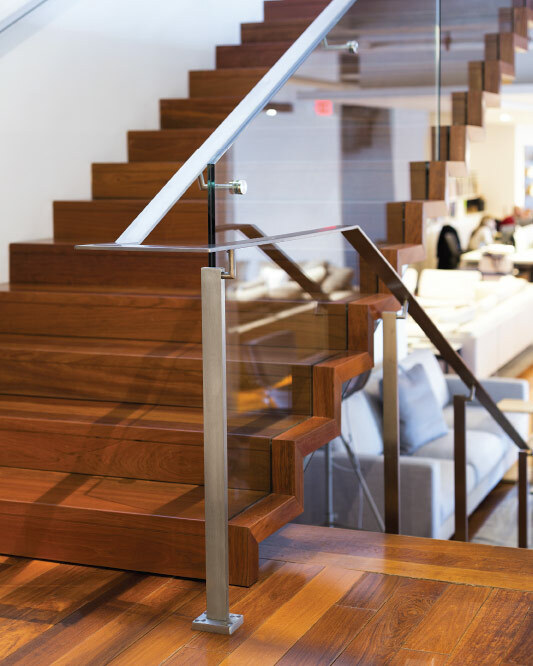 With respect to materials, we offer solid wood, aluminum, steel or stainless steel and hollow stainless steel. 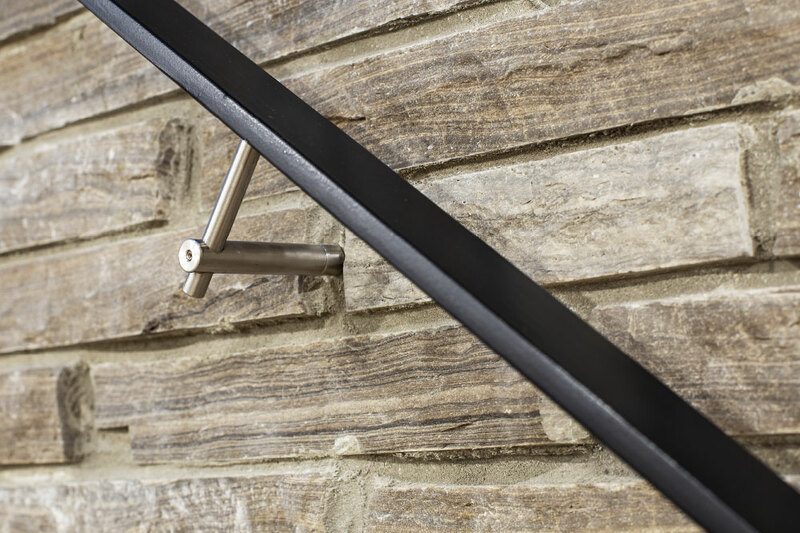 blackened steel solid 1/2 x 2" 110/lin ft.